Claudette Zepeda-Wilkins is the executive chef/partner of El Jardín, a regional Mexican restaurant in San Diego, California. Inspired by her heritage, El Jardín opened in June 2018 and is an expression of Zepeda’s culinary journey as a chef. While born and raised in San Diego, Zepeda credits the confluence of flavors and ingredients she was exposed to while cooking with family in Tijuana and Guadalajara — including her aunt Lorenza who owned her own restaurant, Las Calandrias — as paving the way for her eventual career. Zepeda’s first foray as a professional cook was at an Italian restaurant in San Diego when she was 19. 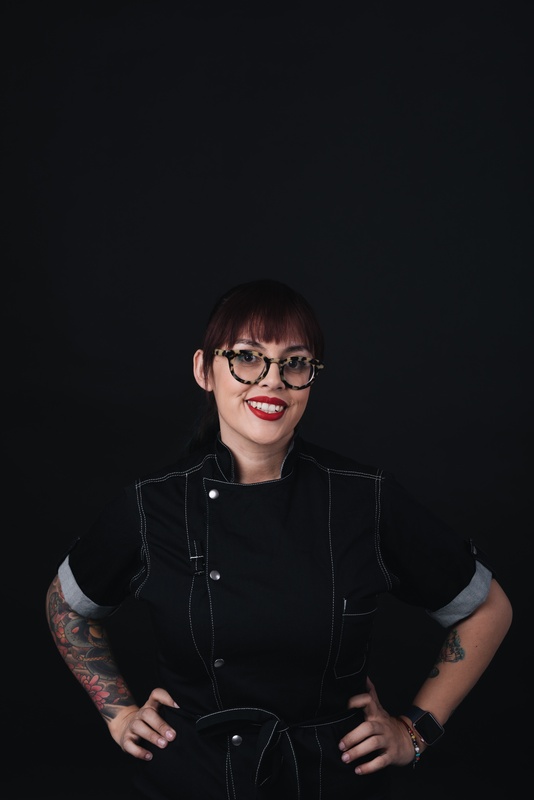 Under the tutelage of chef Denise Roa, Zepeda developed the confidence to expand her culinary horizons, ultimately moving into a position as a pastry cook at Jack’s in La Jolla in 2005, an experience that led to a position as pastry chef at celebrated chef Gavin Kaysen’s El Bizcocho. In 2007, Zepeda continued to hone her skills at Jsix in downtown San Diego, learning to make bread and charcuterie, while growing an appreciation for nose-to-tail cooking. It was during this time that Zepeda decided to transition from pastry arts into the savory realm. Forever chasing wanderlust, Zepeda continued to travel in between stints at various San Diego restaurants to broaden her understanding of the culinary landscape beyond Southern California. During an impactful trip to Marrakech, Morocco where she was inspired by the parallels between the country’s gastronomic culture and the Mexican cuisine at her aunt’s restaurant in Guadalajara, Zepeda unearthed her calling as a chef: to return to her roots and reinvent the flavors that initially inspired her interest in food. In 2015, Zepeda joined Tijuana chef Javier Plascencia’s opening team for (since shuttered) Braceroin San Diego as a butcher and kitchen lead. Her role quickly evolved into a position as chef de cuisine. During her tenure at the restaurant, Bracero was acknowledged as a 2016 James Beard Best New Restaurant semifinalist and was among Eater’s Best New Restaurants in America. After leaving Bracero, Zepeda toured with the CRUX collective to host collaborative pop-ups with like- minded chefs around the country/Canada, won the Chef’s Roll Chef’s Plate 9 competition in Los Angeles and competed in the second season of Top Chef Mexico. While traveling throughout Mexico for the show, Zepeda furthered her education of the indigenous and immigrant cuisines that make up the fabric of the country’s culinary traditions. Her sixth place finish simultaneously paved the way for a spot as a cheftestant on Top Chef season 15, debuting in December 2017. That same year, Zepeda joined the San Diego-based Rise & Shine Restaurant Group, lending her expertise to the development of the group’s new concepts in her role as consulting chef while gearing up to debut El Jardín. A member of Buzzfeed Tasty’s inaugural Tasty talent program, Zepeda continues to find inspiration from her frequent visits to Mexico, as well as her husband and teenage son and daughter whom she resides with in San Diego’s Bonita neighborhood.